Some draperies are made to open and close...some are just stationary panels. Hardware is another important factor when hanging your draperies. 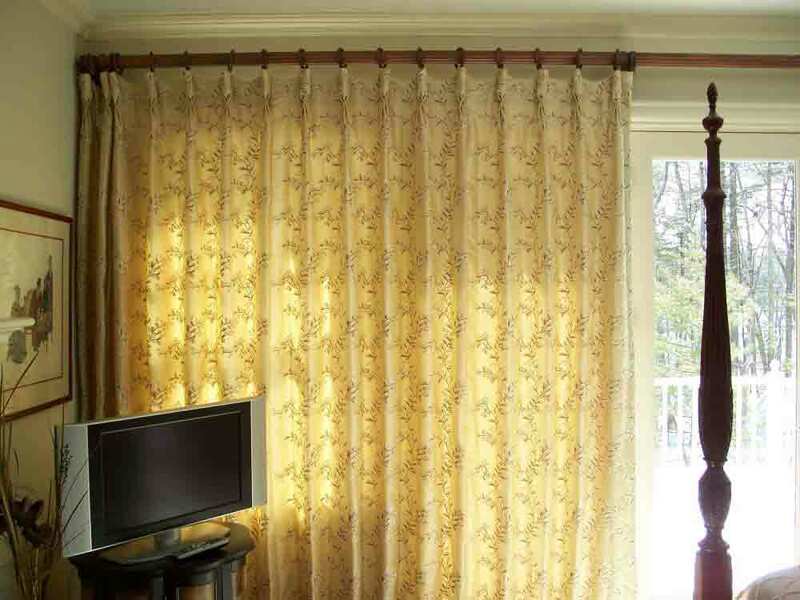 You want a drapery rod that will not only showcase your beautiful drapes but also have the functionality you desire. 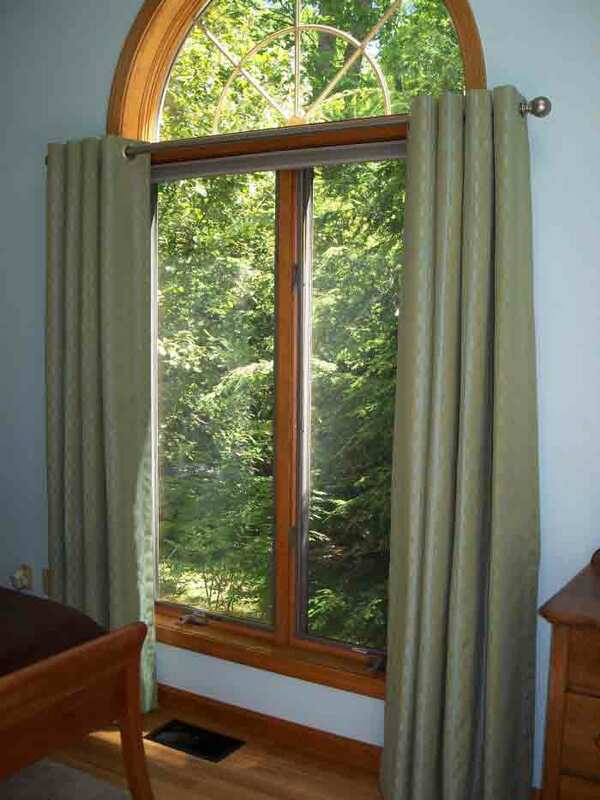 These drapes covered a whole series of windows and a large sliding glass door from wall to wall. 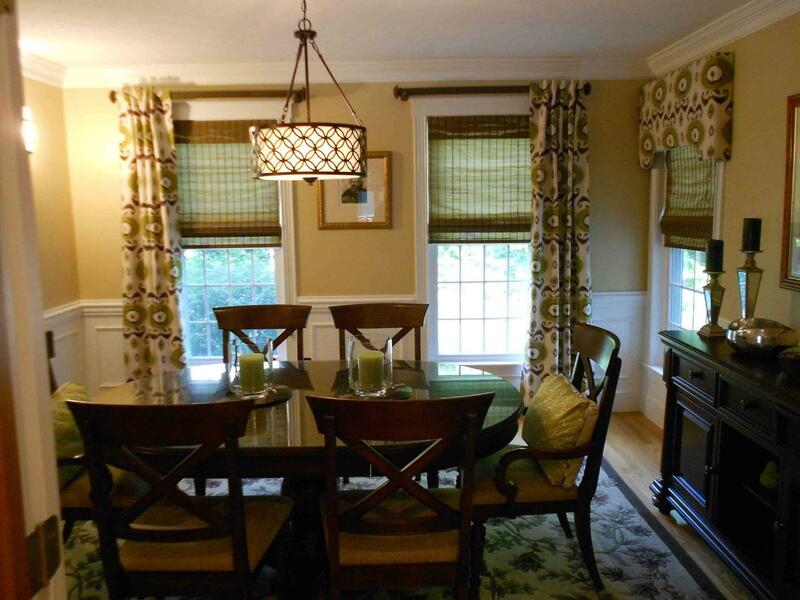 A beautiful decorative wood pole and rings were chosen to hang two panels that meet in the middle and only supported on either end and the middle. Here is a perfect example of stationary panels. These are decorative panels only.